I love shopping in brick and mortar stores (except Walmart and Dollar General). No matter what I am buying -- shoes, clothes, food, technology -- I have a blast. My favorite aspect of shopping, however, is getting deals. Spending money is certainly not one of my favorite things, but if I get a discounted sale, it makes the experience much more satisfying. Unfortunately, many stores require membership and loyalty cards to get the lower prices. These pieces of plastic can accumulate quickly, becoming unwieldy in a wallet or purse. Digital payment solutions should alleviate this dilemma. Apple Pay recently introduced support for Kohls loyalty cards. 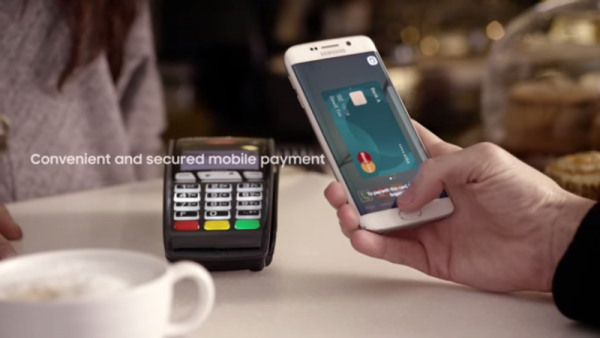 Today, Samsung Pay is getting membership and loyalty card support too. "Users can upload and store merchant membership and loyalty cards in Samsung Pay -- including from their gym, drug store, grocery store or any of their favorite retailers. Samsung Pay’s new membership feature can also be used to store other cards such as insurance and personal identification cards for safe keeping. To use membership or loyalty cards, users simply launch the Samsung Pay app, select the appropriate card, hold their Samsung Galaxy smartphone screen up to the merchant’s scanner, and let the card’s barcode be scanned at the register", says Samsung. Nana Murugesan, VP of Strategy and Operations for Samsung Electronics America explains, "with this new feature, Samsung Pay is giving users quick access to their favorite membership and loyalty programs and making shopping even easier. Right now, shoppers have several things -- credit and debit cards, membership cards, coupons, gift cards -- they need to take out of their wallets and scan at the register. Samsung is simplifying the checkout experience by bringing those items to your phone, representing our next step toward a world without physical wallets". While this is definitely useful, it is a very low-tech solution. Basically, the Samsung Pay app is storing nothing more than images of the loyalty and membership cards so that the barcode can be displayed at the register. A user could do the same thing by taking pictures of the barcodes and storing them in a photo app -- Samsung's solution should be more elegant, however. Is it one less card to carry? Yes, but still an additional step in the checkout process. Hopefully the loyalty card can be integrated into the payment process itself in the future. This is how Apple Pay is handling things now -- one step. Will you use this feature on your compatible Samsung phone? Tell me in the comments.